The university will be replacing plastic straws with paper ones across campus by Sept. 11. Plastic straw bans have raised concern among disability rights groups, which is why the university decided against a ban. Dining services staff will provide reasonable access to plastic straws for people who need them. 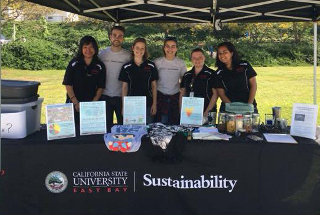 The university is enacting California's Assembly Bill 1884, which prohibits any sit-down food facility from providing single-use plastic straws to consumers unless requested by the customer. Culinary services will switch to paper straws. The university recently signed onto a county-wide initiative aimed at eliminating plastic straws. Instead of plastic, all campus dining locations other than Starbucks will now offer special straws made of polylactic acid. This semester the university pulled plastic straws from routine use in cafeterias operating in Baylor’s four residence halls. Students wanting a plastic straw must request one. Straws will be available for take-out orders. 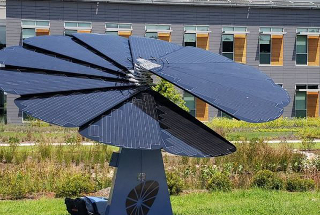 The university held a ribbon cutting in late August for the solar electric system in the shape of a flower. The flower was designed with a dual-axis system, which allows the modular fan to follow the sun across the sky throughout the day, always maintaining the optimal angle. The U.S. Agency for International Development (USAID) awarded $70 million to the university to lead a multi-university consortium that aims to devise evidence-based solutions for pressing development challenges. The consortium will help USAID identify research challenges across all its technical sectors and geographical locations and identify experts worldwide to answer questions about the challenges, such as food security, global health and early childhood education. Purdue’s supporting partners in the consortium are Indiana University and the University of Notre Dame. 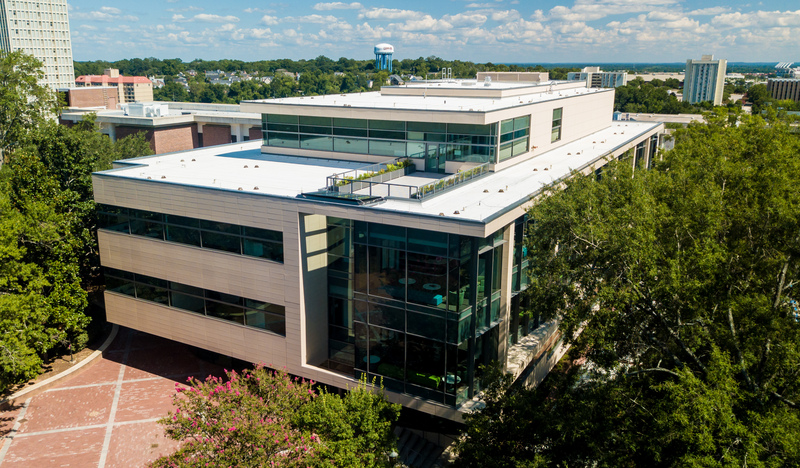 The building that houses the university's School of Media and Communication features solar energy, automated lighting controls, a reflective roof, and native and organic landscaping. The Latinx Cultural Center and the Asian Pacific Islander Desi American Cultural Center will open this fall. Both spaces will be supported by the Multicultural Student Center. 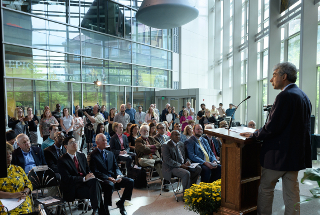 With the addition of the two new spaces, there will now be four cultural centers on campus. The community college recently announced a new partnership with NextEra Energy Resources where NextEra will deliver and install 52 photovoltaic solar panels to create a 20-kilowatt solar energy system on PCC’s Pueblo campus. NextEra also will provide training and curriculum to help the college create a pipeline of skilled workers into the solar industry. 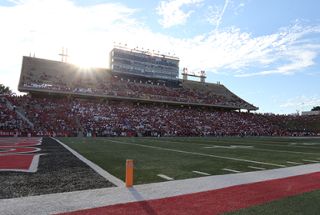 As part of a larger campus-wide effort to produce zero waste, the university is replacing trash cans inside Cajun Field with stations that hold separate bins for compost and recycling. The stadium will serve food on biodegradable plates or in reusable containers instead of plastic-lined paper products. Wooden spoons, forks and knives will replace plastic utensils. Fans will consume beverages from either aluminum cans or recyclable plastic cups, and they can request compostable straws. After attending a course on climate change science, technology and policy last spring at Rochester Institute of Technology, Minecraft Developer Nick Porillo created a new plugin that adds climate change factors to the game. Different elements of gameplay affect the carbon dioxide levels in the game world’s atmosphere. 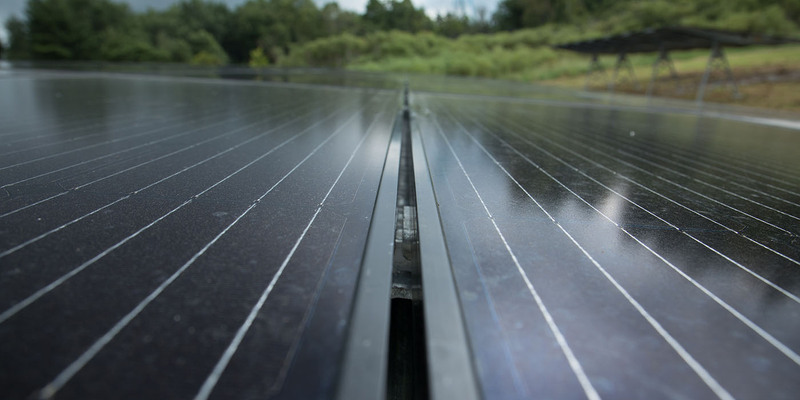 The university has announced a partnership with sPower to construct a 130-acre, 20 megawatt solar array 50 miles away from campus. 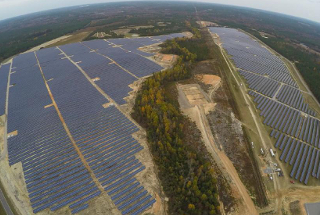 Expecting to go online in 2020, the 47,000-panel array is projected to produce 41,000 megawatt-hours of solar energy. 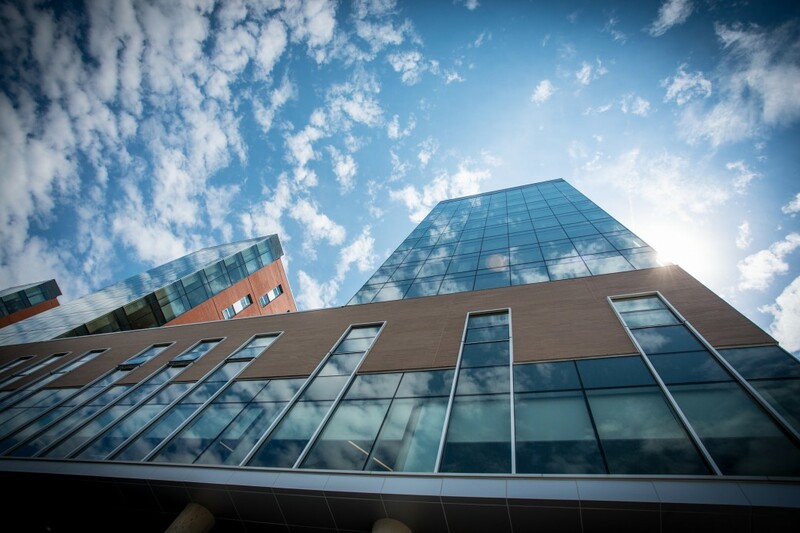 The Catlett Residence Hall includes energy efficient windows and the use of natural light throughout, high-efficiency HVAC and lighting systems are controlled by occupancy sensors, and Energy Star-certified laundry, kitchen and dishwashing equipment, and low-flow plumbing fixtures. Seventy-six percent of waste was diverted from the landfill. The university is removing more than 150 open-top trash cans and replacing them with Bigbelly trash and recycle bins in an effort to cut labor and waste costs. The bins have a sensor and compactor mechanism powered by the sun that allows the material inside to be compressed when it senses the trash level is too high. Then when the bin is full, a red light blinks and trash collectors are notified through an app on their phones. The new certification signifies that the university has taken strides to support pollinators, which includes maintaining landscape spaces that attract pollinators, hosting educational events and keeping bee hives. Next steps include Susquehanna's Department of Facilities Management drafting an integrated pest management plan to govern the use of pesticides, herbicides and insecticides. The new certification as an affiliate of the Bee Campus USA program means that the university provides healthy habitats with a variety of native plants and free of pesticides. The Lower Rio Grande Valley is an area that can especially help with butterflies, as it is home to nearly 40 percent of the 700 species of butterflies found in the U.S. The university recently added a butterfly garden on its Brownsville Campus. The university launched a composting initiative for first-year and other students living in the residence halls after recent building trash audits revealed that about 30 percent of waste was organic material. The sustainability office made available 1,125 individual compost bins at a recent open house. The university's Elisabeth Haub School of Law will no longer use non-reusable water bottles, plastic straws, disposable plates or cutlery. Instead, paper straws, china and metal flatware will be used in the cafeteria. In addition, at all of its programs, the school will not use paper or plastic products and will provide water-bottle fill stations rather than individual plastic water bottles. This year, Sierra's Cool Schools ranking features 269 North American institutions, including, for the first time, community colleges. The annual ranking assesses colleges' environmental practices in food and transportation systems, water and waste management, purchasing procedures, academics, investments and more. 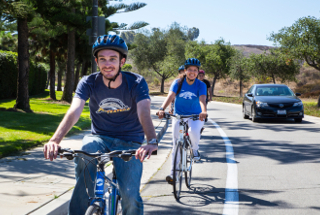 Sierra based its ranking this year on scores from the AASHE Sustainability, Tracking, Assessment and Rating System (STARS). 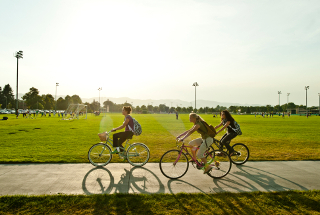 AASHE recently released the 2018 Sustainable Campus Index, which recognizes top-performing colleges and universities in 17 sustainability impact areas and overall by institution type as measured by the Sustainability Tracking, Assessment & Rating System (STARS). The report highlights innovative and high-impact initiatives. Top performers overall by institution type are Nova Scotia Community College (associate’s), Dickinson College (baccalaureate), Green Mountain College (master’s), and University of California, Irvine (doctoral/research). The full list of top-performing institutions for each of the impact areas can be found within the report. Members of next year’s freshman class who meet certain benchmarks, such as cumulative grade point average and SAT or ACT test scores, will pay the in-state tuition rates of flagship universities in their home state. It’s a non-need-based scholarship program. Starting this fall, students will have the option of majoring in Indigenous Nations and Native American Studies. The university says the major aims to offer native and non-native students alike with opportunities to study the history, values and contemporary issues of native peoples. The major will cover critical studies, tribal race theory, decolonizing methodologies, and traditional and cultural ecological knowledge, among other topics. The university's recently adopted policy regarding the investment of its endowment says that it will not invest in any retail outlets that market and sell assault weapons to the general public. The decision was based on the recommendation from its Corporation and Advisory Committees on Investor Responsibility. Plastic straws have now been removed from all food services on campus. Paper and pasta straws will be available upon request and cups now have lids with openings to drink from directly. In early May 2018, the campus completed one of Second Nature's Carbon Commitment milestones by approving its first Climate Action Plan. The plan, which includes immediate, near-, medium- and long- action steps, indicates the university has set a goal of carbon neutrality by 2040. Central Michigan University, James Madison University, Simon Fraser University, San Jose State University, and University of Calgary were recipients of this year's Sustainability Innovation Award given by APPA. This award is designed to recognize and advance sustainability in educational facilities. The university's 431 acres are now organic thanks to ongoing effort to discontinue the use of chemicals to fertilize and control weeds. 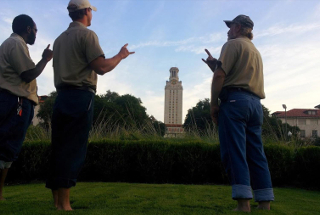 The university grounds team makes and uses 250 gallons of compost tea each week to enrich the soil and make plants healthier, which nearly eliminates the use of chemicals and reduces water use for irrigation. The tea is made from compost, coffee grounds, molasses and seaweed. Some limited chemical treatments are used to manage invasive plants and fire ants. 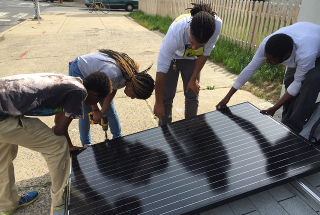 The 24-kilowatt solar-electric system recently installed on campus will be used for educational purposes. Since data for each panel will be available and the panels can be tilted individually, the school aims to determine the best angle for different times of the year in order to maximize the system's efficiency. 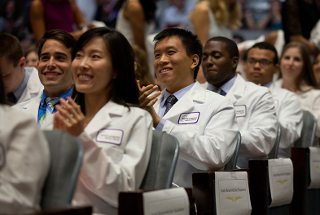 In an effort to address the rising costs of medical education, the school is offering full-tuition scholarships to all current and future students in its MD degree program regardless of need or merit. The yearly tuition costs covered by the scholarship are $55,018. 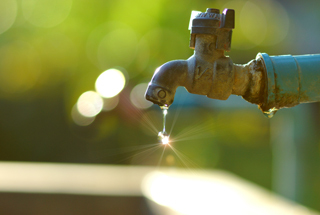 The 21-point plan enumerates goals through 2021 that seek to reduce the university’s greenhouse gas emissions and overall energy and water consumption. It is the institution's first comprehensive statement of environmental objectives. The recently approved bachelor’s degree in environmental and sustainability studies will begin accepting students this spring. The installation includes a large photovoltaic canopy on the top deck of the university's main parking structure as well as several rooftop systems. 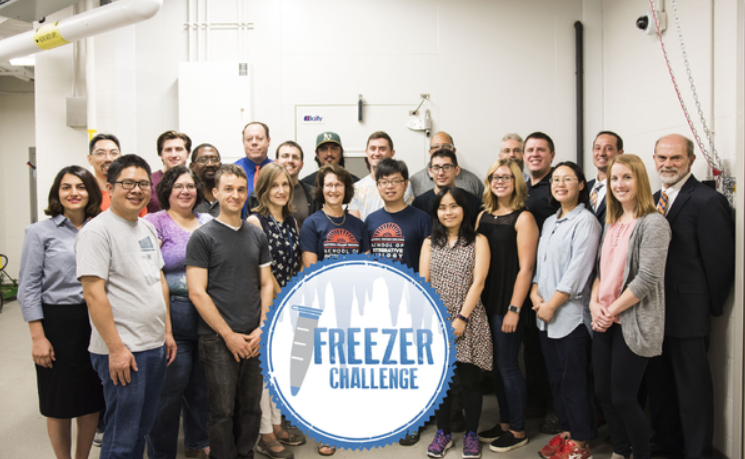 The university is buying the electricity under a power purchase agreement that is expected to save between $2 million to $8 million over its lifetime, depending on future energy costs. The $20,000 gift from the Arconic Foundation includes funds to improve the honey bee project with new bees and hives, bee suits, and honey harvest equipment. Another portion of the funds will provide tools to aid in production and curriculum such as a solar powered remote weather station and agricultural drone. Finally, the grant provides funds for equipment to improve working conditions at the lab – a utility vehicle and gas generator. 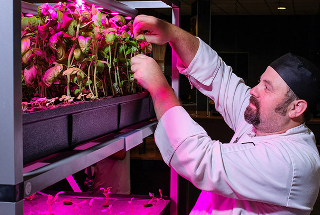 Chefs in Boozel Dining Hall can now use fresh herbs and vegetables in their daily menu thanks to a new indoor, soilless growing system. The hydroponic garden was installed in partnership with a business that focuses on indoor gardening and STEM education for restaurants and institutional dining halls. 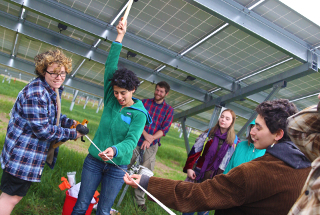 Created by the Office of Sustainability, the Sustainability Certificate Program launching this fall is a seven-course certificate program for faculty, staff and graduate students. 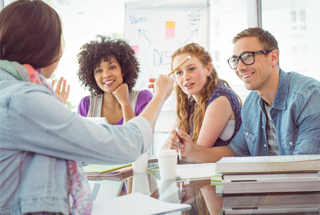 Topics covered include sustainability in the UC system, social equity, climate change and justice, mindfulness and sustainability, green office certification, leadership, and procurement strategies. 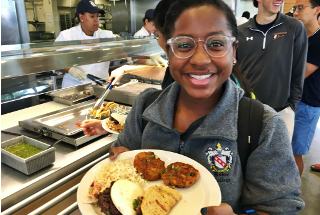 In addition to offering more plant-based options, such as a "cauliflower steak" and a wheat- and potato-protein burger, the university's dining facilities are also reducing the amount of beef used in burgers by replacing about a quarter of it with mushrooms. This is expected to reduce their meat purchases by about 700 pounds per month. Plastic straws, cold cup lids and plastic bags will be phased out in an effort to reduce plastic waste.